Training Bra - When a girl needs her first bra it’s an exciting and special time in her life, a time that signals her entry into womanhood. It’s easy to make her first bra buying experience into something memorable and fun; just follow along with our easy guide. Buying your first bra is a significant moment in a girl’s life, something that she’ll always remember. Honor this time by making it special for her. Bring up the subject over a lunch for just the two of you, or when you’re doing something together that you both love. Rather than just blurting it out at any moment, take the time to turn it into an extraordinary event by talking to her about her first training bra in a setting that feels a little more precious. A girls changing body can create major anxiety, confusion, and uncertainty for her. Add in the raging hormones and a teenage attitude, and telling a girl it’s time for her first bra can turn into an ultra sensitive situation. Steer clear of conflict or hurting her feelings by starting your conversation with a compliment. Starting your talk on a positive note like this makes her feel good and sets you up for a successful conversation. 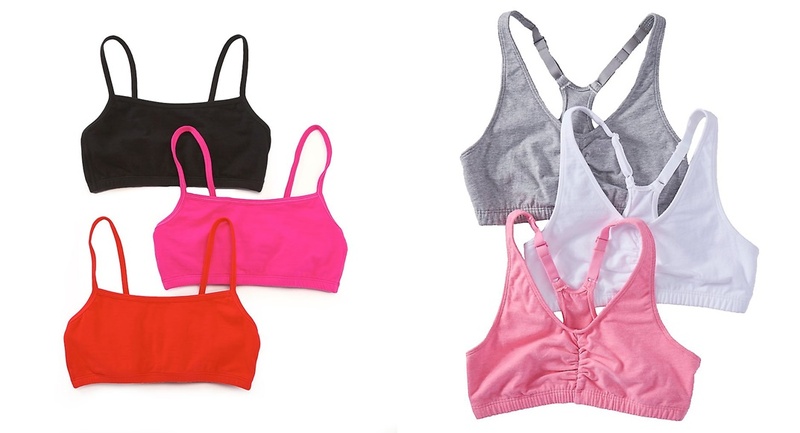 Preteen bras come in a fun and fabulous rainbow of colors to please every young girl's taste. 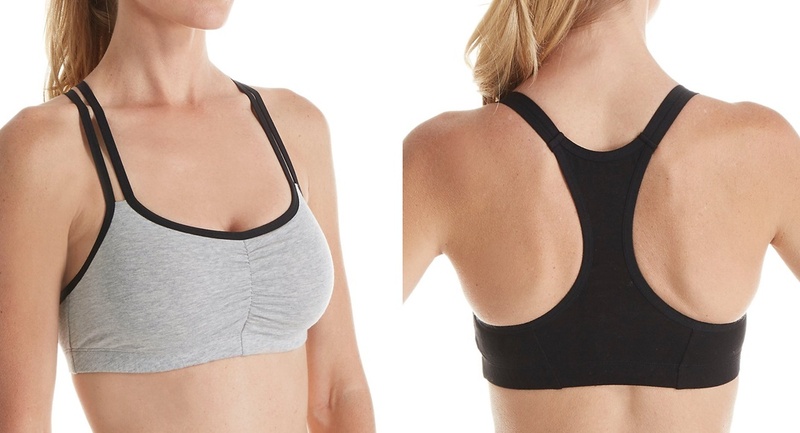 From bright and funky to traditional and classic, popular training bra colors include rocket red, baby blue, apple green, hot pink, sunshine yellow, and of course, white and black. Pair your shopping trip with lunch or dessert at a restaurant that she gets to pick, take her for a pedicure afterwards, or turn buying a bra into a shopping spree for whatever else she craves in her closet. Getting your first bra is a moment every girl will remember always, so put in a little extra care in making it a time to cherish. You might think that talking about bras is no big deal, but a pubescent teenage girl will likely disagree. Show a little sensitivity by treating the situation delicately. Take her aside and speak to her about it only when the two of you are alone. 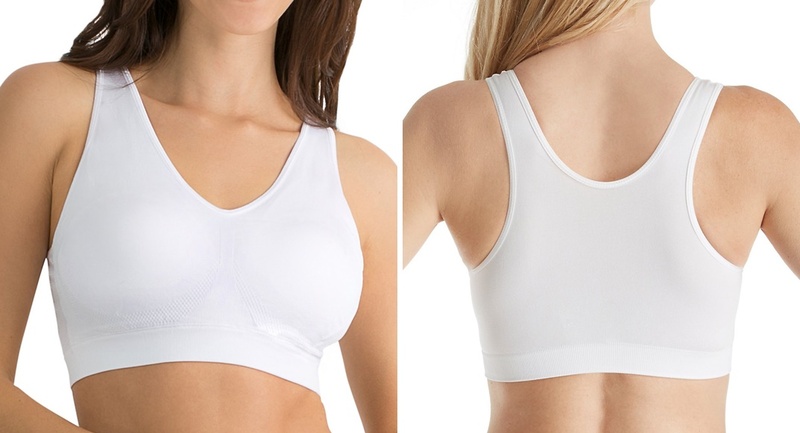 Depending on how quickly they develop, girls typically start in small, medium or large sizes, and eventually move into standard bra sizes with an AA, A, B, C, D, DD+ cup. It can be hard for young girls to imagine that any adult ever felt the way she’s feeling now. Let her know that you can relate to her experience by sharing the story of how and when you got your first bra. Tell her how you felt, who you were with, what it felt like to start wearing a bra every day, and how it made you feel to become a woman. 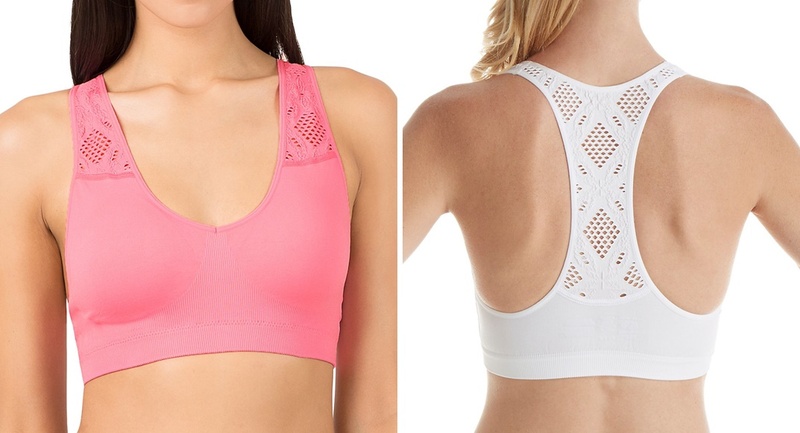 She’ll love being able to relate to your own story, making talking about buying her first training bra less intimidating, and turning it into a special bonding experience for the two of you.